Welcome to Feltham Tyre Centres, where customers are our No1 priority, we pride ourselves on the level of service and range of products we provide. Our friendly staff will discuss your requirements and offer advice if required. With easy parking and our convenient location in Feltham (Heathrow), we are ideally suited to provide the fast and reliable service that you require. 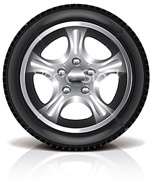 Tyres Not only are we expert in our knowledge of car and van tyres, we have specialist fitters for motorcycle tyres and truck tyres. Continental Tyres Continental Tyres Truck & Commercial Tyres Truck Tyres Motorbike Tyres Motorbike Tyres Batteries Modern vehicles need a modern solution, which is why we supply DURACELL batteries for Cars, Vans and Trucks. Exhausts We supply and fit top quality Arvin Timax replacement exhaust systems offering significant savings to dealer prices. Brakes We offer a complete range of replacement pads, discs or drum brakes for your vehicle. Wheel alignment Our alignment bays are fitted with state of the art Hunter equipment, so we are able to align all four wheels or font wheels only. Alloy Wheels We can refurbish and repair alloy wheels back to a pristine finish for a fraction of the cost of new ones. Air Conditioning Our comprehensive air conditioning service ensures your car's air-con system is in tip top condition Company Car Drivers Feltham Tyre Centre are an approved tyre supplier for most of the UK's largest fleet and leasing companies.